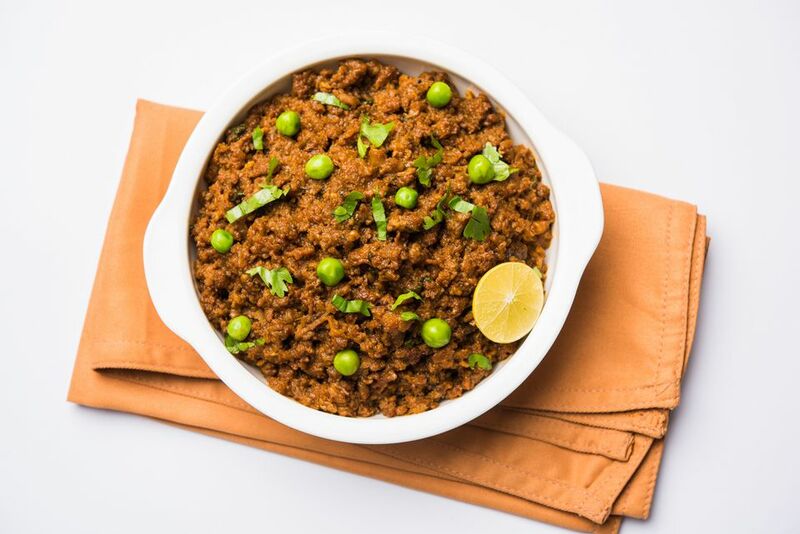 Chops Hara Masala is a simple dish and is a great lunch or dinner option for those cutting down on carbohydrates in their meals. You could serve it on a bed of Jeera Rice but it tastes divine even with just a leafy, green salad. This recipe serves 4 and makes 2 lamb chops per person. Wash the lamb chops well and pat dry. Use a meat mallet to gently flatten the meat slightly. Put the garlic, ginger, onion, poppy seeds, cinnamon, cloves, green chilies, coriander, turmeric, and salt into a clean, dry blender/food processor. Grind into a smooth paste. Keep this paste aside for later use. Take a large skillet or heavy-bottomed pan and add 3 tbsps of oil to it. Heat on medium. Add the lamb chops to it and fry until browned on each side. This should take 5 to 7 minutes on each side. While you are frying the lamb chops, set up another heavy-bottomed pan on medium heat. Add the remaining cooking oil to it. When the oil is hot, add the previously prepared green masala to it. Fry well for at least 10 minutes, stirring frequently to prevent the masala from burning or sticking. When the masala has been fried well, add the browned lamb chops to it. Stir well to coat the chops well with the masala. Season with salt if required and add 1/2 a cup of hot water. Bring the whole mixture to a boil and then simmer the heat. Cover the pan and cook until the meat is tender and most of the liquid has dried up. When this happens, turn off heat. Serve Chops Hara Masala with small potatoes. Add a green, leafy salad for a wholesome, delicious meal!